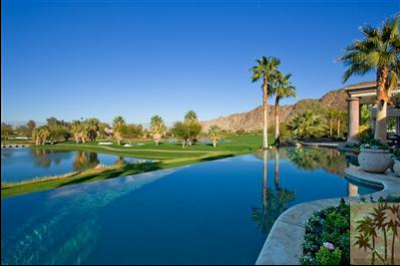 The Tradition is thought to be one of La Quinta’s finest estate and golfing residential communities. This prime location has not been surpassed in spectacular views and privacy by any other. The mountain and desert views are unmatched anywhere in the area because of its high elevation above the desert floor. One of the finest golf courses, which has been designed by Arnold Palmer himself, is located here. Multi-Million dollar estate sized houses are the key to bringing luxury and the old world charm to this country club community for which its reputation is built. The decor and design of these homes is truly unique in itself. Each home has taste and elegance to fit any personal style choice. Legends have been made at the Tradition Golf Club. This championship course is nestled in the La Quinta cove and is a private golf club for members and guests situated in what was previously an old ranch. Because of the history behind it, the Tradition has a solid foundation for being of the highest quality. This course, at the Tradition, is an 18 hole championship course. Here you will find a 9 hole Par 3 designed especially by Arnold Palmer. Those who play golf here will experience a rewarding game no matter the skill level you possess. Lush green landscape and breathtaking views of the mountains surrounding the course await. There is a feeling of beauty and class that pushes the mind away from this being a desert golf course. If you would like to see property at The Tradition, please call us at the numbers below. Were committed to helping you find the home of your dreams.